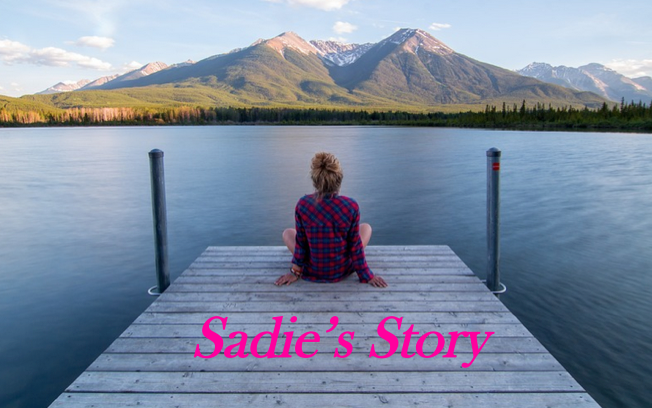 After visions of heaven, young Sadie’s experience (which she thought was from God), soon devolved into horrific nightmares, depression, and attempted suicide. She has allowed me to include her story in this series about a movement called the New Apostolic Reformation, or NAR for short. In this series, I want to take readers beyond the textbook What is the New Apostolic Reformation Movement explanation, into the personal experiences from those who have been there, and what happened when God opened their eyes to the truth. I saw your latest posting on the NAR regarding Mandy’s story. I want to share with you what happened to me as a child, growing up in the Assemblies of God denomination in the 70’s. I ask Christ into my heart when I was 7. I was baptized when I was 9. When I emerged from the water, I immediately starting speaking in tongues. No one taught me that, I believe with all my heart that it was of the Holy Spirit. What I want to address is what I have struggled with for years regarding a time in my life starting at age 10 and going until late teens. I was part of a group via church called the Missionettes (now called MPACT). The leader was a woman that I loved dearly, and was best friends with one of her daughters. We used to have a once-a-month a sleepover at the church, and was usually full of fun times. When I was 11 or 12, we were told to sit down in a circle and just start praying, allowing the Holy Spirit to “move” to “speak” to us. I encountered three different things that night, and it has stayed with me for almost 40 years. First was that I prophesied that the leader’s daughters would one day grow up to become a nurse (eldest), a teacher (the middle), and the youngest a homemaker. I found out years later that each has done what I had said. Mind you at the time they were 14, 12, and 10. The second one was a vision of “heaven.” I felt like someone was guiding me. I saw the throne of God, the houses all a jeweled, and people walking over the gold bridges while beautiful streams flowed. I didn’t hear anything. Then I saw two men playing checkers. When I came “back,” I told one of my friends that I saw her two grandpas playing checkers in heaven. She later told me that when they both were alive, that is what they did together. So, you can only imagine how this kind of story (they called it a revelation), spread to the congregation and to my pastor. I even got up on a Sunday night service in front of several hundred people and they all were in awe and praising God. Now, this was amazing to me. I felt like I was so close to the Lord and that He had bestowed to me what very few could ever have. I felt I was loved. One year later, something started to happen to me. I started to have a lot of nightmares. Every single night. There would be horrid images in my head. I would hear voices. Plain out demonic images. My mom would pray over me each night and stay with me until I fell asleep. I would still wind up screaming in the middle of the night and go get in bed with my parents. The only thing that soothed me during this time was a 8 track tape by a singer named Evie. Her songs were child-like with a simple message. This led me down a road of depression. I felt lost, and no longer much of an extrovert like I had been. I was so confused during this time, and at the age just shy of 15 I attempted to take my own life. There just seemed to be no hope for me. The light, the visions…all of it that I thought was a gift from God, really wasn’t. I have since learned that the lady and now her daughters had been heavily influenced by the likes of Oral Roberts and now Bill Johnson/Bethel Church. It has taken me years to realize that I was in a place of spiritual abuse, by unassuming people. I do not believe they meant me any harm, but Satan did. That is why I shiver when I see what the likes of Bethel Church is doing with young kids, trying to teach them the “signs and wonders.” They are being deceived just like I was, as well as my parents. I still have to be on the alert to this day. The Enemy never really gives up on you once that door is opened. I have had many struggles, especially with depression and suicidal thoughts. But, I am here today to claim that I am an overcomer only because of the redemptive and healing power of Jesus, through the working of the Holy Spirit in my life. I have read a lot regarding this false religion and how much it binds people to the occult. Romans 8:1 is my go-to verse. It reminds me of how Christ will never condemn me. I am set free and the chains have been broken.